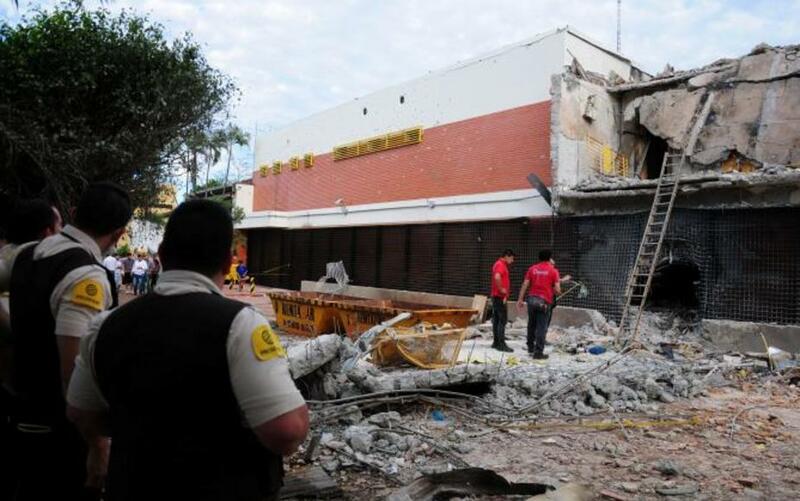 (Q24N) It was as brazen as it was spectacular: on April 24 2017, a commando team of bank robbers assaulted a private security company in Ciudad del Este, Paraguay, making off with US$11 million dollars. Some dozen operatives, whom police believe were working for the Brazilian organised crime group First Capital Command, blew through the fortified offices of Prosegur, a company known for its fleet of armoured vehicles, before fleeing across the border into neighbouring Brazil. The heist made headlines not for the relatively modest sum taken but for its dazzling Hollywood style. According to local papers, the team came armed with heavy weaponry and explosives, and 15 cars were set ablaze. The robbers escaped via speedboat, crossing lake Itaipú to reach Brazil. A private getaway plane was impounded by the authorities. This dramatic scene fits neatly with stereotypes about Ciudad del Este, a Paraguayan commercial hub in the notorious Triple Frontera area where Argentina, Brazil and Paraguay intersect. It is one of the most active border economies of the hemisphere, and Ciudad del Este is often portrayed as its lawless capital. 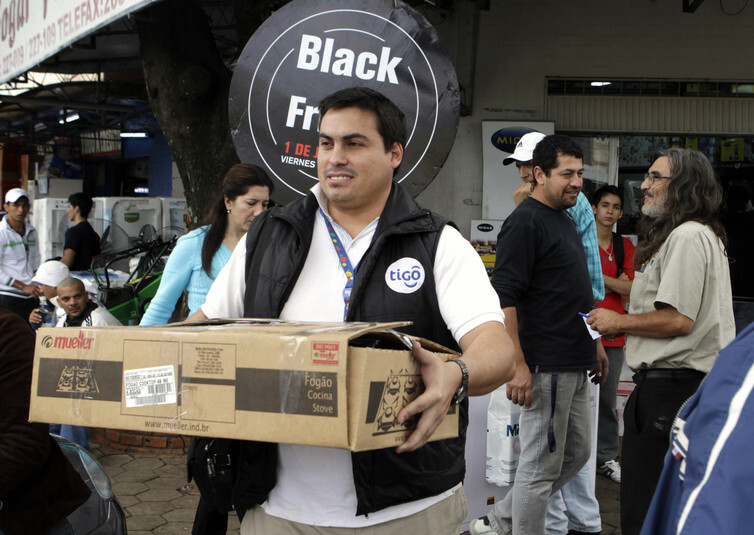 At its peak in the 1990s, Ciudad del Este allegedly moved US$10 billion per year in merchandise – more than Paraguay’s entire gross domestic product. The city even featured in the 2006 blockbuster film Miami Vice, the backdrop for scenes in which smuggled documents find their way into the hands of a network of baddies. I spent two years (2009-2010) immersed in Ciudad del Este’s informal economy, conducting anthropological research on credit and commerce. My research shows that, far from being ungovernable, this Paraguayan free-trade zone is built on a sophisticated legal, commercial, and financial infrastructure that has made a small group of political and business elites very, very rich. Ciudad del Este has prospered because of its unique legal and economic status as a duty-free zone (zona franca). All sorts of consumer goods, from digital cameras and sneakers to pharmaceuticals, are imported – both legally and illegally – and sold tax-free there. Even before the city was founded in 1957, trade flowed across Paraguay’s porous land and water borders with Argentina and Brazil. The 1970 “special customs zone” legislation just gave that freewheeling frontier capitalism a legal and regulatory imprimatur. Today, some Paraguayans work in lucrative import-export companies and own cavernous duty-free warehouses. 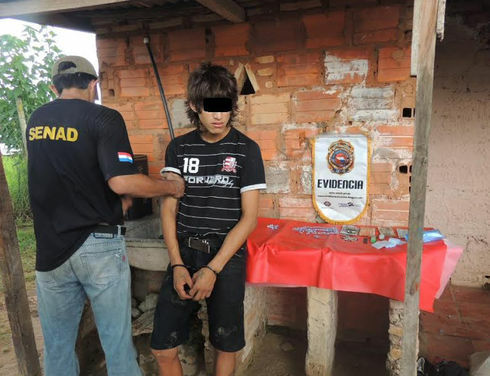 Many more work as small-time smugglers engaged in “ant contraband” (contrabando de hormigas) – walking, cycling, trucking or floating goods across the border to Brazil. Shopping tourists (known locally as sacoleiros, or “bag carriers”, for their large satchels of goods) come from Brazil or Argentina. And many international travellers drop in to buy affordable smartphones or imported perfume while vacationing nearby at the spectacular Iguazú Falls. Inside, the bustling duty-free malls of Ciudad del Este, which are advertised on billboards lining the highways on all three sides of the border, look identical to those in international airports. Ciudad del Este was the brainchild of president Alfredo Stroessner, the development-minded dictator who governed Paraguay from 1954 to 1989. 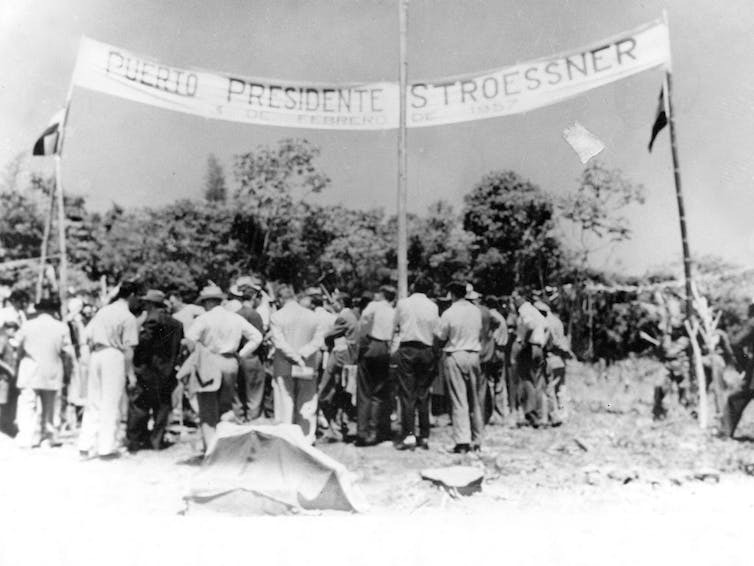 After decades of border disputes with neighbouring countries, Stroessner wanted to secure territorial claims on Paraguay’s eastern frontier. So in 1957, he established a city there (then called Puerto Presidente Stroessner), built a highway from the capital Asunción and constructed the Friendship Bridge that now connects Paraguay and Brazil. Founded in 1957, Puerto Presidente Stroessner was renamed Ciudad del Este in 1989 after Stroessner’s regime ended. 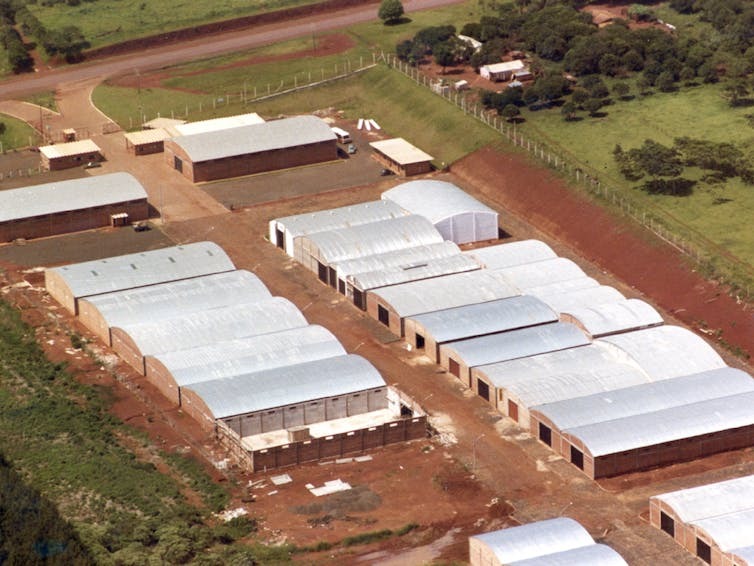 Senate legislation created Paraguay’s first “special customs zone” there 13 years later. That 1970 bill established a ten-hectare zone that was exempt from tax and trade regulations and granted a concession to the aptly named Bussines Company SRL [sic], which included partners from Brazil, Argentina and Singapore, to operate it. The area, subdivided and leased to companies that built warehouses, storage facilities and shipping outfits, became an archipelago of tax-free islands controlled by private companies that had paid for the right to operate outside the regulatory purview of the state. Today, the hustle and bustle of the city has rendered the boundaries of the zona franca almost invisible. It took digging into the archives to discover its legal origins. On December 18 1970, Paraguay’s leading newspaper, ABC Color, reported on the legislative debate about the proposed free-trade zone. Evidently, after some senators expressed doubt about the international consortium that would build and maintain it, a supporting lawmaker retorted “capital does not have nationality”. An outraged editorial said that Ciudad del Este, then still under construction, was “a result of an ideal vision of the nation, created as an example of directed [national] willpower.” It worried that a big (international) conglomerate like Bussines Company SRL (which has since changed hands numerous times) would not reflect that utopian goal. That concern seems prescient today. 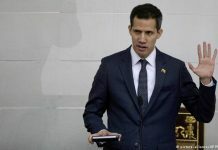 The government is not totally absent from Ciudad del Este because the duty-free zone’s legal and fiscal connective tissue hold the city together. But Ciudad del Este is largely controlled by a small group of powerful business elites, both foreign and domestic. Their lucrative monopolies are what happens when free trade becomes a national ideal. Private warehouses, created by the special customs zone legislation. Prosegur, the company targeted in last week’s dramatic heist, serves as a key conduit for these channels of free trade. Just as private duty-free warehouses stockpile merchandise across the region, a private network of security companies, Prosegur among them, transits its cash. Because these are private financial channels, we have no idea how much money moves through the Triple Frontera. The professional, quasi-military nature of the Ciudad del Este heist has led some political analysts in Latin America to speculate that the commandos were the “disposable workforce of global intelligence operations.” In other words, multinational companies, intelligence services, and foreign gangs are hiring members of private security companies to do their dirty work. Blurring the line between (ex-)military and private security gives the quip that “capital does not have a nationality” an alarming new meaning. It’s almost as if Ciudad del Este were designed for just this kind of stunt. The armoured cars, specialised banks, private warehouses that comprise its free-trade framework set the stage. And its thriving black market would have made the robbers feel right at home. 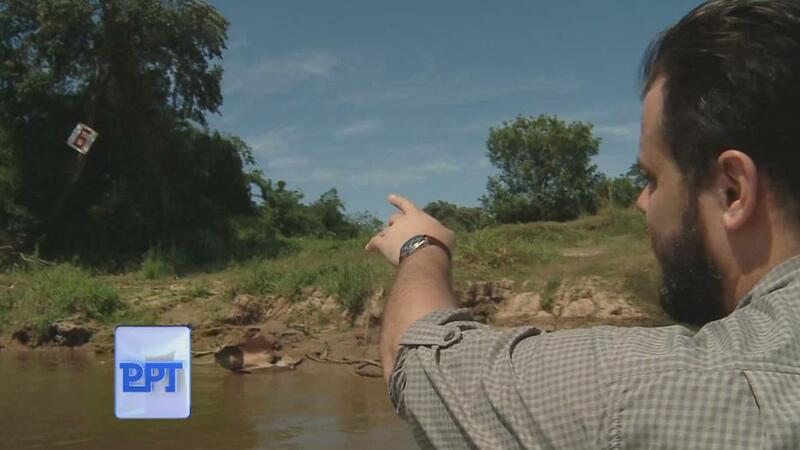 In point of fact, it’s elite government and business interests in Paraguay and beyond who primarily profit – quite legally – from this sprawling free-trade zone. 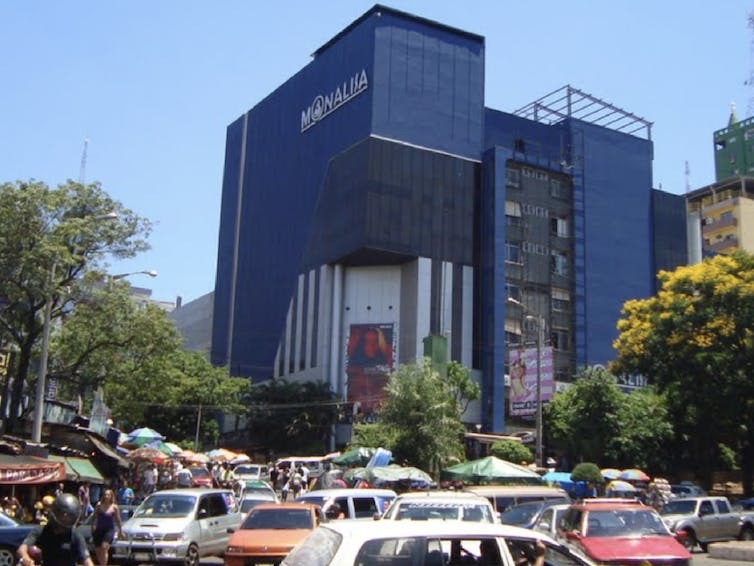 The Mona Lisa duty-free shopping mall, owned by the family of Ciudad del Este’s Mayor Sandra Zacarías-McLeod. The mayor of Ciudad del Este is part of a family business empire centred on the iconic Mona Lisa duty free shopping mall. Even Paraguay’s President Horacio Cartes has his hand in Ciudad del Este; his family controls the lucrative Tabesa tobacco company, which has a free-trade zone there. Ciudad del Este is not a lawless place – not Paraguay’s Wild, Wild East. It was legislated to be what it is, a city run by private businesses and imbued with precisely the legal, regulatory, and financial systems that they need to accumulate wealth and power. 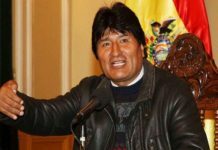 That setup is providing well for Paraguay’s president and the Prosegur plunderers. But the question must be asked: how is it benefiting the well-being of the rest of Ciudad del Este’s citizens?